What foods come to mind when you think of New England and Cape Cod? Clams? Lobsters? My guess is that some type of seafood takes a prominent place on the list. But that superstar starch, the potato, has an illustrious history alongside the bivalves and crustaceans of the Northeast. Chunks of potato bob along in chowder or pour out of the stockpot onto newspaper-strewn tables at clam bakes and crab boils. And there’s a special kind of potato that comes from the Cape—an exalted and crunchy kind. Cape Cod Potato Chips, which you’ve probably picked up on more than one grocery run and inhaled happily over the years, have been made in Hyannis since July 4, 1980. 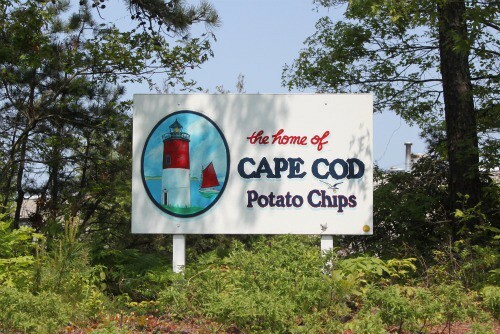 Every single potato chip in every single bag across the U.S. is sliced, fried, salted, and sealed in the Cape Cod Potato Chip factory off Independence Drive and Route 132. 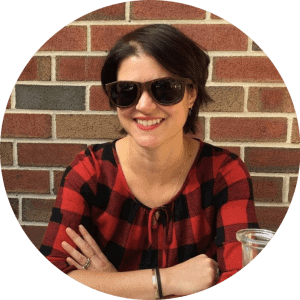 Even better than knowing that these chips, possibly the best potato chips in the history of snackdom, all come from one small company instead of a faceless conglomerate is the ability to see the potato chip-making process in action. Have you ever read the back of your Cape Cod chip bag? The company invites you to visit the factory on each package, and since I was in the neighborhood over Memorial Day weekend, I figured it would be rude not to take them up on their offer. Watching the bubbling and steaming kettle fryers in action, seeing the newly-crisped chips move up the tater elevators to the centrifuge, and then along conveyor belts to be inspected and flavored is like a Mister Rogers segment come to life. If you’ve never craved a potato chip before, the tour might change that notion for good. Sadly—but understandably—photography and videos were off-limits for the tour, but CCPC offers a quick factory tour video on their site. The factory abounds with Trivial Pursuit-worthy details and tidbits about what it takes to make an official Cape Cod Potato Chip. For instance, it takes four whole pounds of potatoes to make one pound of chips—that’s how much water content is in a single spud. And CCPC makes sure the potatoes they source are high specific gravity varieties; that is, they’ve got as low a water content as possible, so the factory gets more out of each potato they produce. 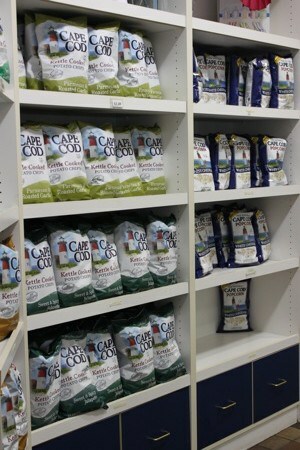 The potatoes themselves aren’t strictly New England varieties; depending on the season, Cape Cod Potato Chips source their spuds anywhere from New Brunswick, Canada, to as far south as North Carolina. Like Five Guys, which tells you where your french fries came from via white board, a board at the factory entrance gives the provenance of the day’s potatoes. On the day of my visit, the fryers were working with Maine potatoes with a specific gravity of 1.091. The no-salt varieties of chips are the first to pass through the machines in each shift, and are inspected by hand to make sure none of those ooky dark or greenish chips end up in the bag. (I wondered if the inspectors are allowed to snack on chips as they pass along the conveyor belt. Wouldn’t that be a great job perk?) In a cool bit of sustainability and waste reduction, the chips that don’t pass inspection become tasty snacks for local livestock. At the end of the free tour—really, just a stroll down a long, windowed hallway that lets you spy on the process while wall texts explain each step of the process—you’re rewarded with your very own sample bag of chips, while a gift shop (naturally) tempts you with the array of varieties produced within factory walls, from Sweet & Spicy Jalapeño to brand-new Harvest Gold to my hands-down favorite, Sweet Mesquite Barbeque. It’s a supreme act of willpower to walk out of there without a bag or two in hand. The factory also produces Cape Cod White Cheddar Popcorn, which is as compulsively hooverable as its more-renowned chip brethren. Making the popcorn is a one-man operation, and follows a set of rigorous specifications and checkpoints that ensure, among other things, that the final weight of a seasoned batch of popcorn is exactly twice that of an unseasoned batch. Fascinating. Does CCPC need any popcorn interns? 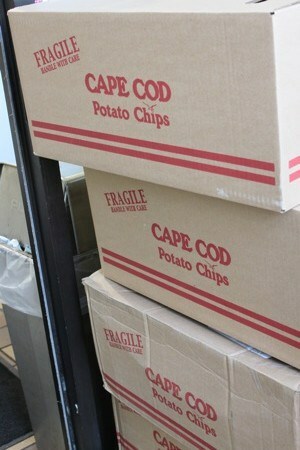 Cape Cod Potato Chips, 100 Breed’s Hill Road, Hyannis, MA. 1-888-881-CHIP (2447). Free self-guided factory tours available Monday to Friday, 9:00 am to 5:00 pm.